Pixie always seems to find herself in some tight situations! That cat is deserving of a treat, I’d say! Awwwww. 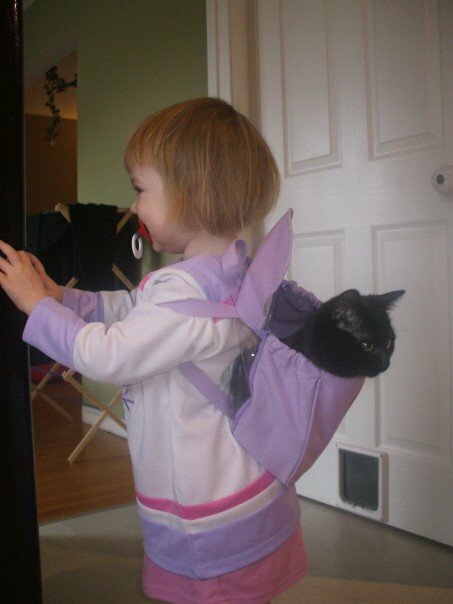 Have cat will travel! That is soooo cute and funny!! I don’t know how you got that shot, but I love it! Too cute, but she doesn’t look too happy! ~lol~ Awesome picture though.